Ard El Golf and El Nozha Street are two of the nicest, calmest areas in Heliopolis. If there’s one thing that distinguishes these spots from the rest, it’s the extensive choice of restaurants and cafés that offer three key elements: relaxation, simplicity and elegance. As if some sort of prerequisites are enforced, even older venues have revamped their images to fit in with the new ones. Greece Club is located in the middle of the bridge found on El Nozha Street and has a large sign in the colours of the Greek flag; blue and white. The café’s entrance is on a side street, just off the main one, and inside, the long hallway-like shape has tables on either side and glass walls; seating is not plentiful but the space overall is not that big. Regardless, the interior is pleasant and filled with Greek references and memorabilia such as pictures of ports, random Greek scripture and televisions that screen European sports. They also have a corner dedicated to Playstation gaming, where an hour usage costs 25LE. Wi-Fi is also available, free of charge, which we were thankful to take advantage of seeing as the 90s pop music being played began grating on our nerves after a while. Despite all of this, the menu is international with absolutely no focus on Greek cuisine; sandwiches, pasta, soups, salads, main courses, dessert, smoothies, milk shakes and shisha make up the general options. We ordered a mixed platter starter (34LE) that included chicken liver, French fries and honey-mustard chicken tenders. Overall, the dish was disappointing; it was completely bland and we wished we’d gone for one of their fresh salads instead . On the waiter’s recommendation, we went for the ‘Van Blanket’ chicken (52LE) with rice and sautéed vegetables. 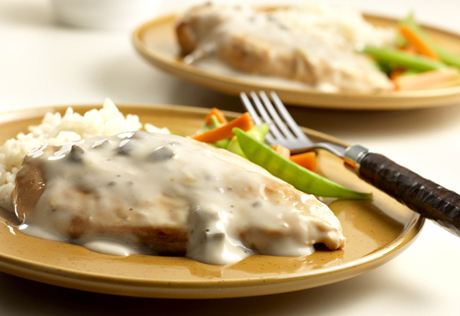 The chicken breasts came lathered in a cream sauce with mushrooms and failed to offer anything as spectacular or as original as its name suggested; however, it was still enjoyable and filling. The rather large escalope pane with pasta in white sauce (60LE) was also cooked well and tasted, well, like chicken. Although the food took a while to arrive, it was still satisfying enough to leave us intent on going for some dessert. The ‘Greek Island’ cocktail (20LE) is a mix of guava, strawberry and mango juice and was lovely and fresh. We also ordered chocolate ice cream but the waiter misunderstood and brought us an iced chocolate drink (20LE) instead. He apologised for the mistake but we didn’t mind and found the drink to be quite wonderful. we plan to take advantage of the Playstation corner. Make sure you reserve your spot at the Playstation corner, before some little pip-squeek sneaks ahead of you. The prices are reasonable and the atmosphere is relaxed.